When would you need this: When you want to perform routing between different VLANs. Special Requirements: You have to make sure that your router support the frame tagging technology used between the switches. Before jumping into the router configuration, you have to configure a port in the switch that will be connected to the router to be a trunk port. And keep remembering the VLAN tagging method that you configured the switch to use (ISL or 802.1Q, 802.10, or LANE). What will be done in this procedure is creating logical interfaces inside the single physical interface that will be linking the switch to the router. These logical interfaces will be treated as separate interfaces in the routing decisions. You can change the ‘fastethernet’ to the type you have and the ‘0/0’ with the interface number that you are using. X represent the logical interface number (not number of logical interfaces). You can use any number here, but I think it is better to use the same number of the VLAN that you will assign to this logical interface. For example, for the logical interface that you will use for VLAN 5 use ‘int fastethernet 0/0.5'. This way, you will easily know which interface refers to which VLAN. and Y is the VLAN number that this logical interface will be assigned to. The procedure on this page will enable “routing” between different VLANs being carried on the trunk link. For that, you do not need to setup a static route or a dynamic routing protocol. 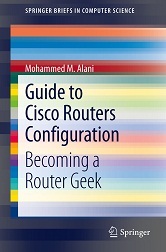 To enable routing between different VLANs. What exactly are you looking for? I might be able to help you locate it. I miss the ip adresses assigned to the subinterfaces, how is the routing be done by the router without ips? How does the router know he has to sent a packet into an other vlan?